Light nonfat vanilla yogurt and 1 teaspoon of honey were used when calculating nutritional data. Lightly swirl all ingredients together in a small bowl. Spoon into 4 popsicle molds and insert handle. Freeze for at least 4 hours. 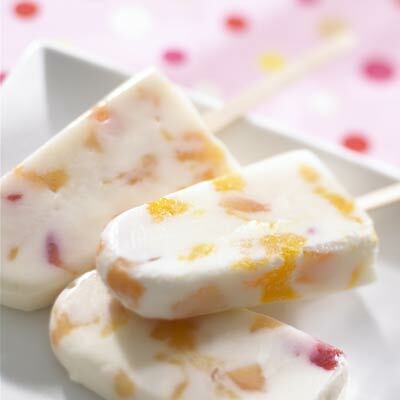 *For extra sweet pops, add 1 to 2 tablespoons of honey to yogurt before swirling.